New Zealanders can now experience some Italian panache on our beautiful waters sailing a Grand Soleil or Sly performance cruiser. The Flagship Grand Soleil team brings over 40 years of boat design and build experience from Italy to our brokerage in Auckland, New Zealand. Our expertise and insight is invaluable for clients making purchase and sell decisions regarding the Grand Soleil and Sly sailboat brands. Our common goal is to find the right owner, for the right reason with the right boat. 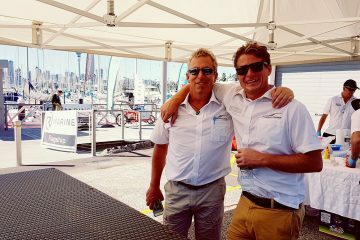 We provide our clients and boat owners with speciality sales and service as the exclusive dealer for Grand Soleil and Sly in New Zealand. Grand Soleil is the epitome of Italy in a luxury performance cruiser – innovative and trendsetting. 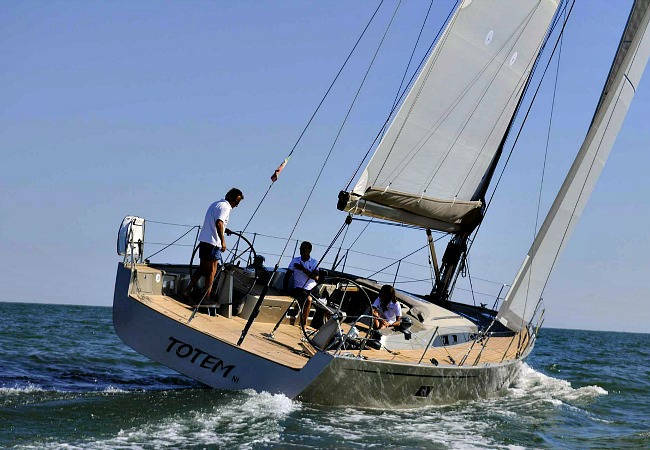 Sailing a Grand Soleil is a lifestyle, not just a boat. More than forty years of designing and building stunning yachts for clients around the world is an excellent testimony to their craft. Each boat is elegant, seaworthy and indisputable in quality. The Grand Soleil team includes successful Americas Cup designers as well as super yacht naval architects all with the same passion… to create an extraordinary sailboat. 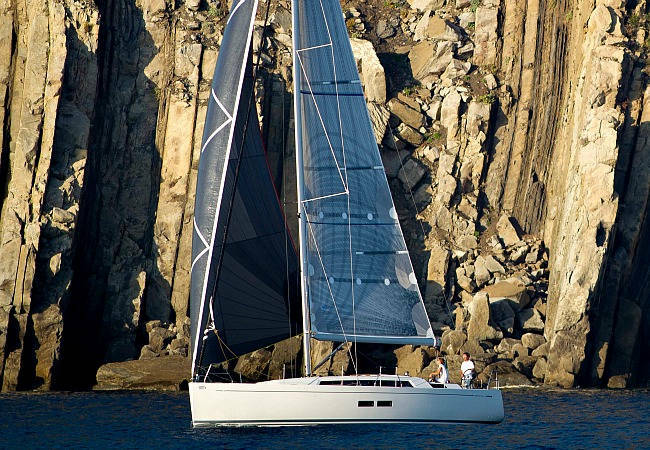 The modern, young and dynamic Sly Yachts business produces sailboats that remind us why we love cruising and racing. Launched by Sandro Franchini in 2005, the Sly range inspires pure play, thrill and comfort without forgetting the importance of great design. 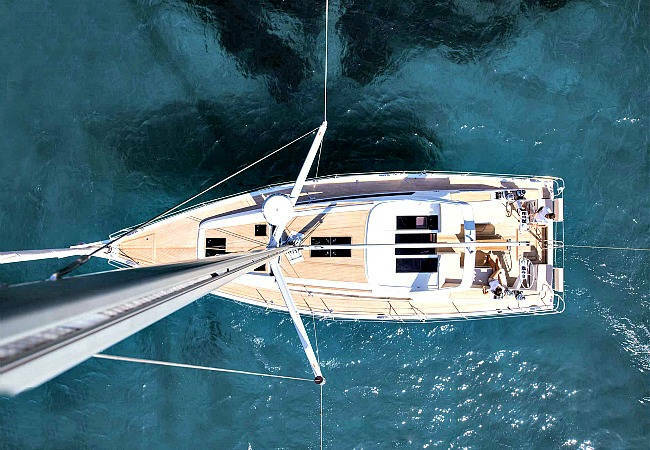 Built in Cesesna, Italy near the Adriatic Sea, the Sly Yachts’ design and build team was quickly established from a group of experts with varying backgrounds and a love of sailing. Their desire to offer something unique to sailors feeling the need for speed evolved into the Sly sailing experience. Soon after launching, they took the European market by storm. Research and development with state of the art solutions for speed, safety and comfort resulted in the smart Sly range from 38 to 61 foot sailboats. Strong financial backing during the Global Financial Crises sustained the Sly Yachts business soon after launching. They cruised through the GFC comfortably with new-model planning and are still going strong today. The Sly journey continues as an ultra modern yacht for sailors around the world. The name says it all… “Sly” in the dictionary is defined as “crafty, clever, wily, artful”… an appropriate name for an extraordinary boat. 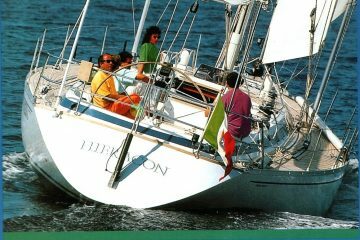 The Story of the Grand Soleil 52 "Heiracon"